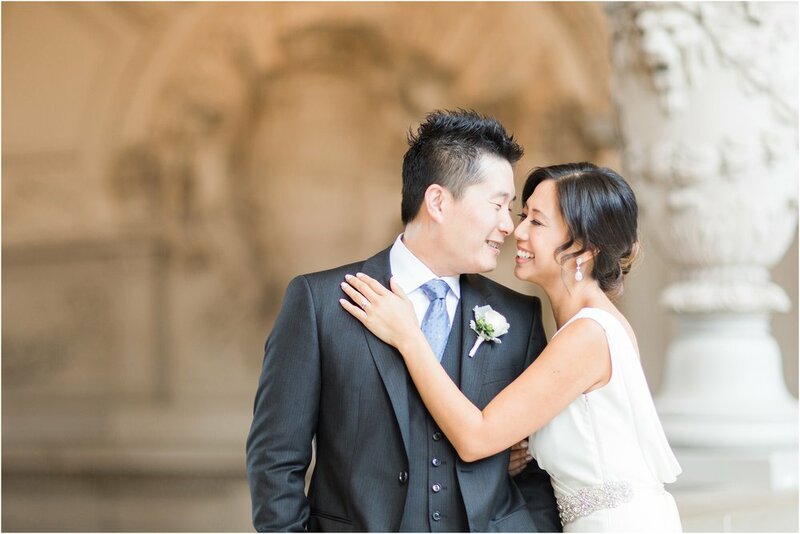 I met Aimee before photographing her wedding and we clicked instantly! 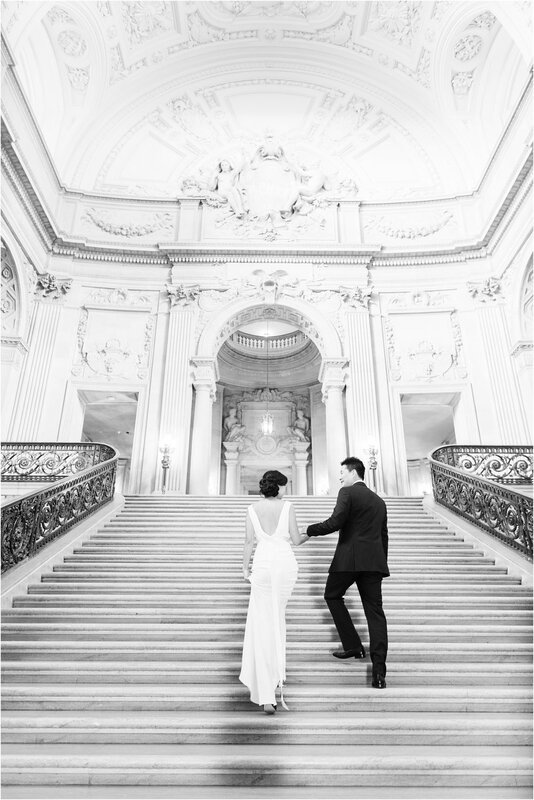 I love when my clients and I share a similar vision and style because it makes everything fun and easy to plan! 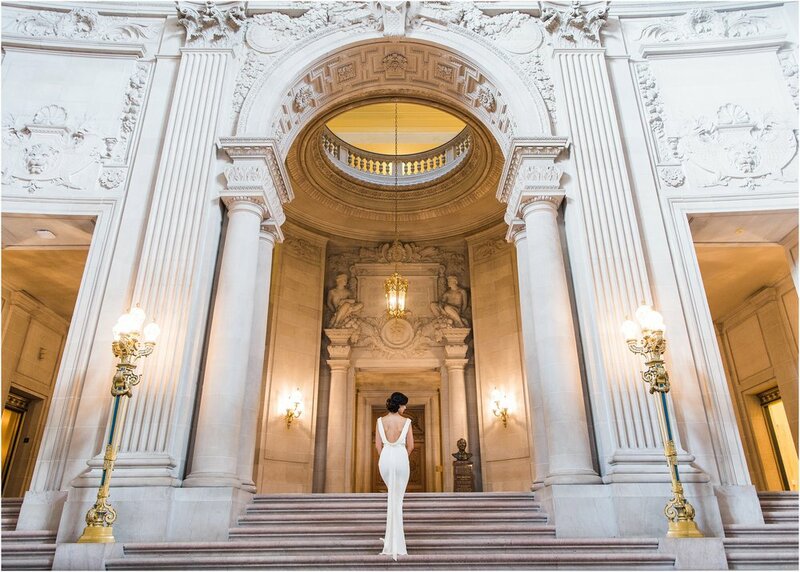 The day of their wedding, Aimee wore a beautiful wedding dress from BHLDN that suited her and San Francisco City Hall perfectly and I loved how elegant the low back looked on her. 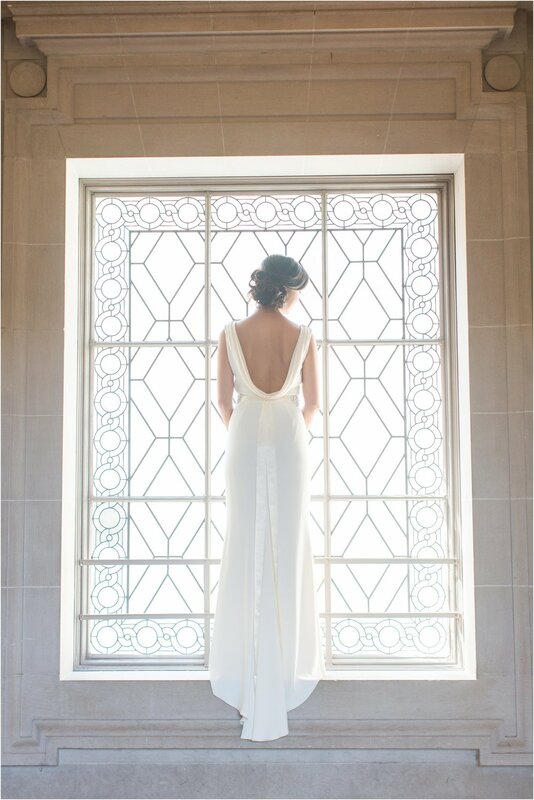 To top off the look, she wore a pair of stunning, sapphire, rhinestone encrusted Badgley Mischka's. 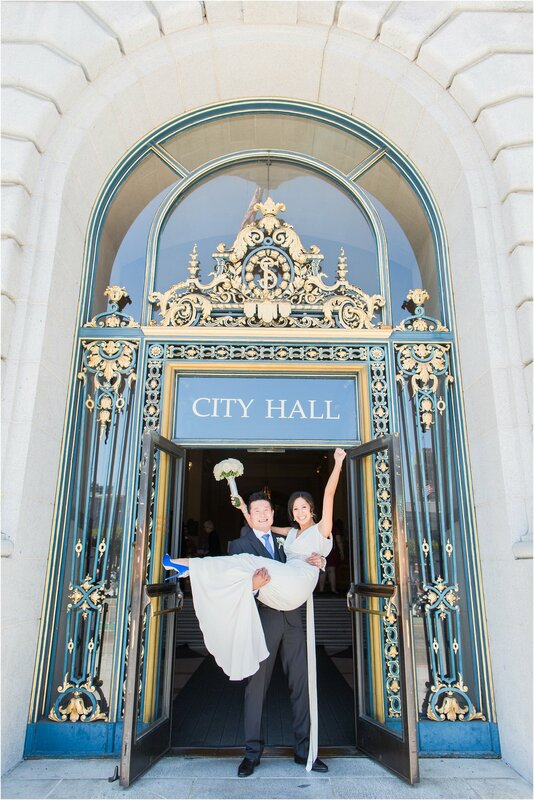 Talk about a fabulous pair of shoes! 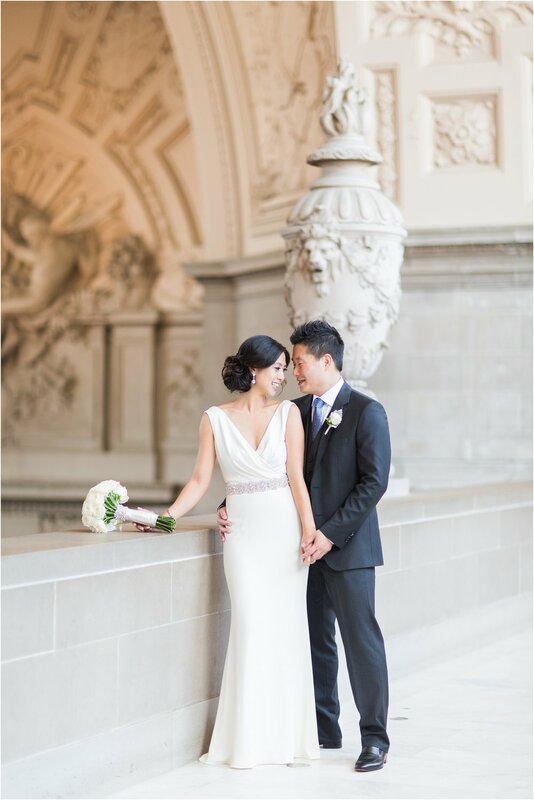 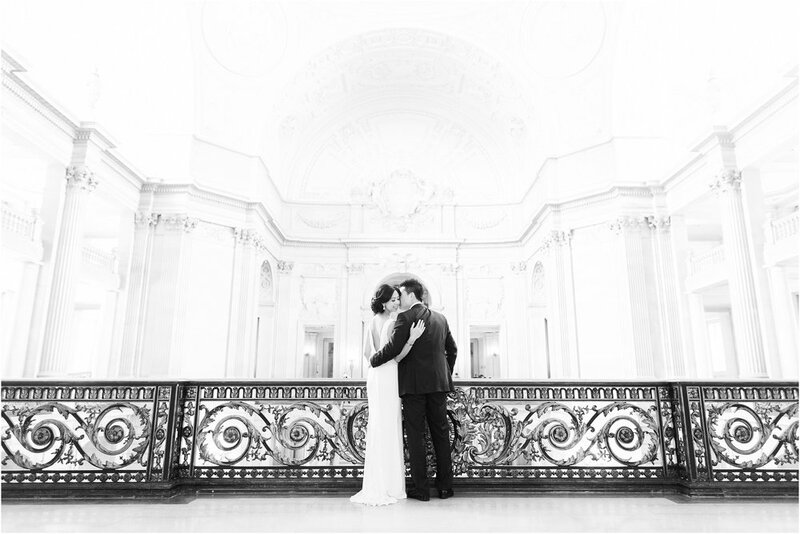 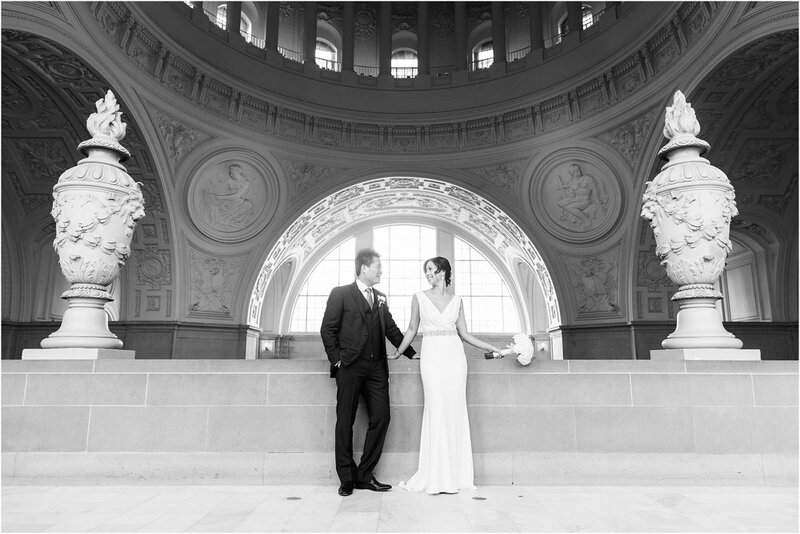 Their private, fourth floor ceremony was a perfect retreat from the rest of the bustling San Francisco City Hall. 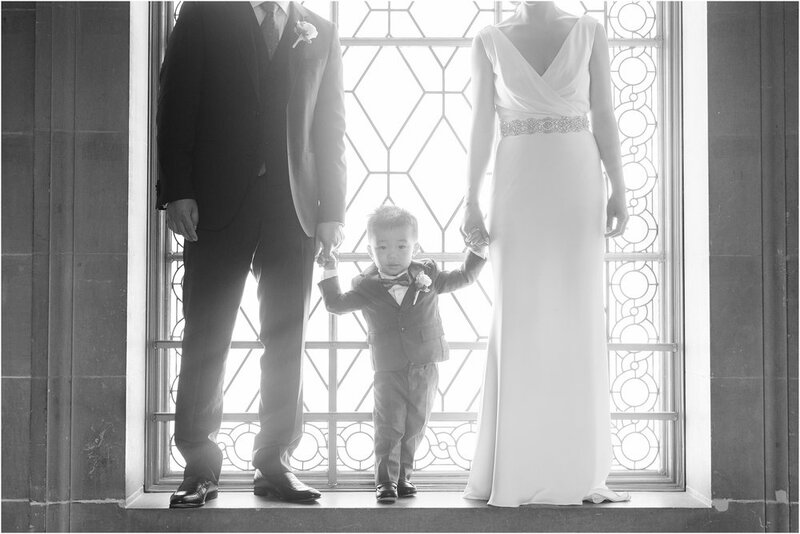 It allowed for an intimate hour with their friends, family, and the cutest little ring bearer, their son Nathan! 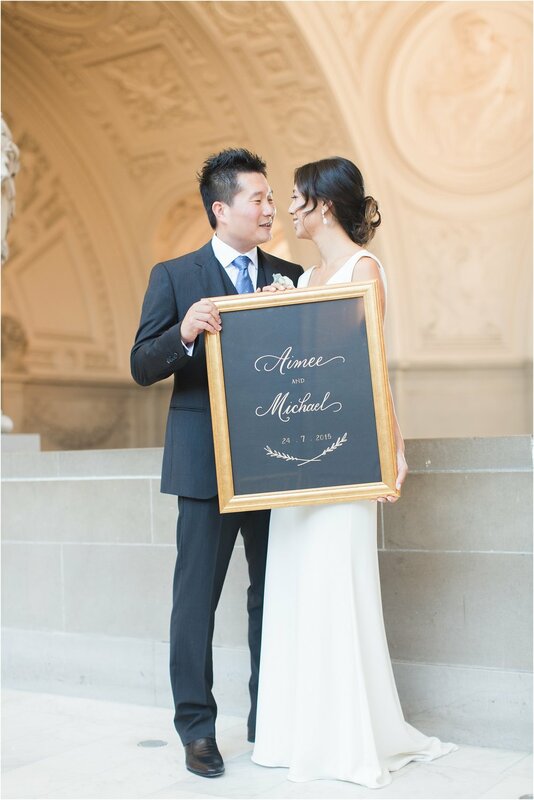 Congratulations Aimme and Michael! 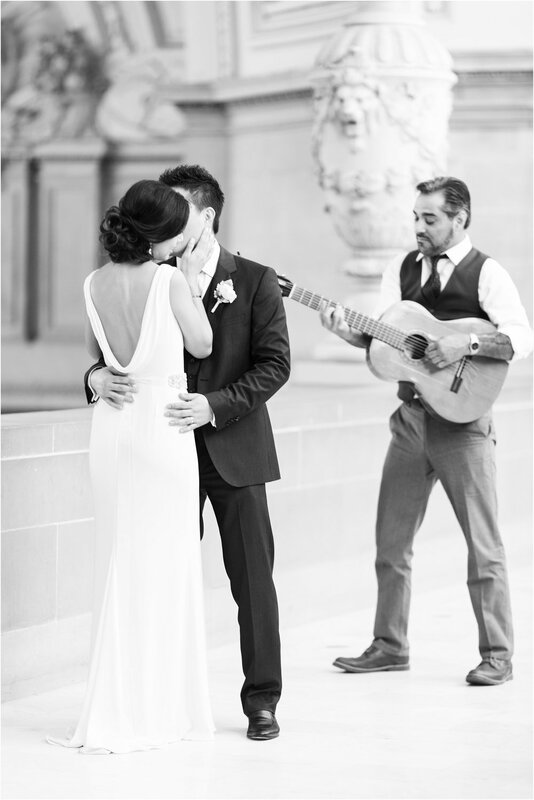 I am so happy to have met you and to be able to call you two new friends is an honor!